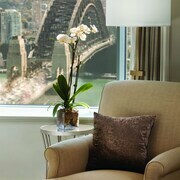 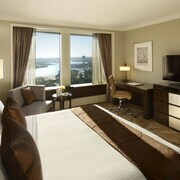 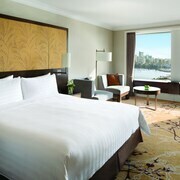 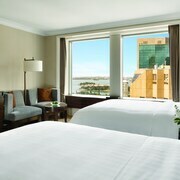 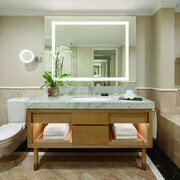 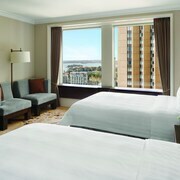 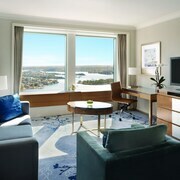 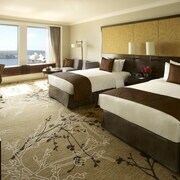 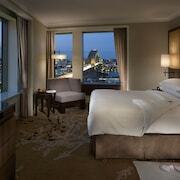 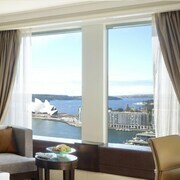 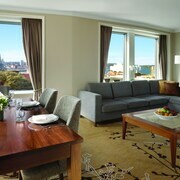 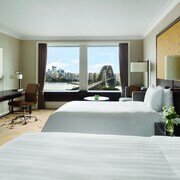 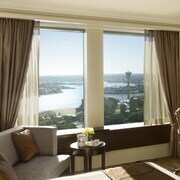 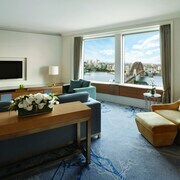 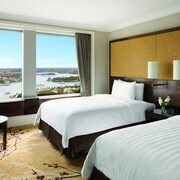 The Shangri-La Hotel, Sydney, has 565 guestrooms over the 36-story tower block in the historic Rocks district. 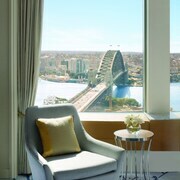 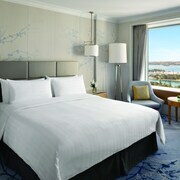 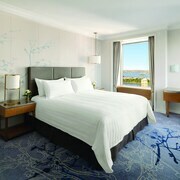 It offers views of the iconic Opera House and Harbor Bridge from its Altitude Restaurant and Blu Bar on 36, and from many of its guestrooms. 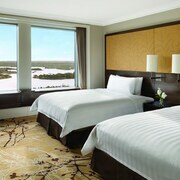 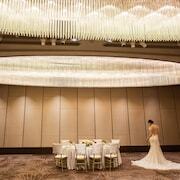 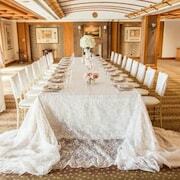 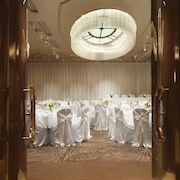 It has a full-service conference area with a wide range of meeting venues. 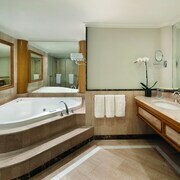 CHI, The Spa offers a range of massage and beauty therapies. 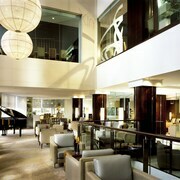 A hair and beauty salon is located on the same floor, in addition to a 20-meter heated indoor pool with adjoining sundeck. 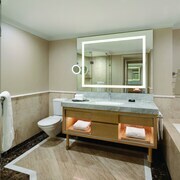 ATM/banking is also available. 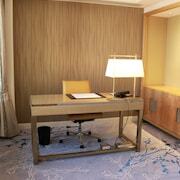 On-site secure parking with valet service is available (surcharge). 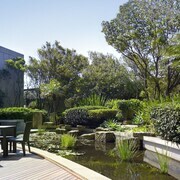 Smoke-free property. 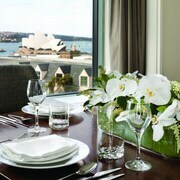 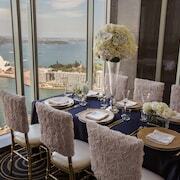 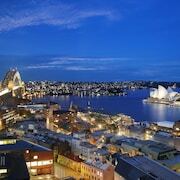 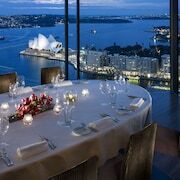 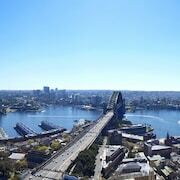 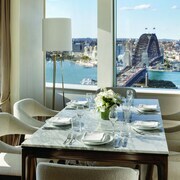 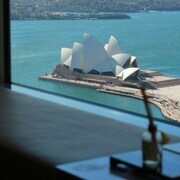 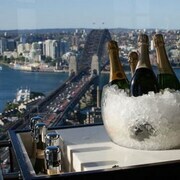 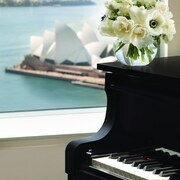 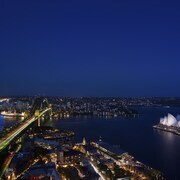 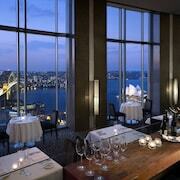 The Altitude Restaurant and Blu Bar on 36 of the hotel offer sweeping views of Sydney Harbor and the Opera House. 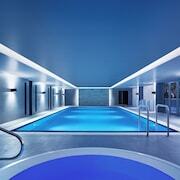 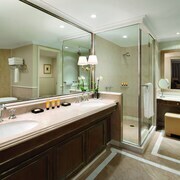 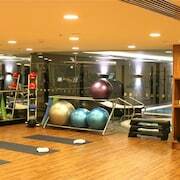 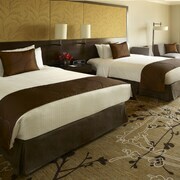 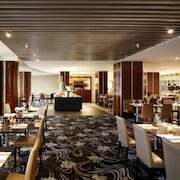 The hotel also has extensive conference facilities, and CHI, The Spa with swimming pool. 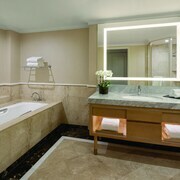 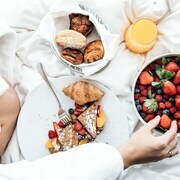 In addition to premium bedding such as down quilts and silk throws, guestrooms also offer marble bathrooms with bathrobes and slippers. 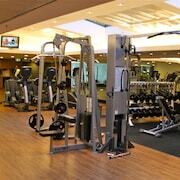 Guests are provided with a free newspaper and free bottled water. 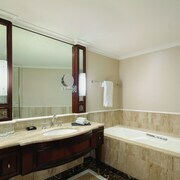 Free WiFi and wired Internet access are also available.